Carbon fiber reinforced polymer (CFRP) composites gained wide acceptance in aerospace, automotive and marine industries due to their superior properties. It became the major structural material that substitutes metals in many weight-critical components such as the new A350 and the B787 aircrafts, with composite content to exceed the 50%. Although CFRP structures are manufactured to near-net-shape, edge trimming, drilling, sawing, milling, and grinding operations are unavoidable. Being anisotropic, inhomogeneous and highly abrasive, their conventional machining is normally associated with delamination, fibers pull-out, inadequate surface quality, and tool wear. Other nontraditional processes which include abrasive water jet machining (AWJM), ultrasonic machining (USM), and electrodischarge machining (EDM) offer substitute to the conventional methods. Laser beam machining (LBM) is an emerging technology offering an excellent alternative for machining CFRP composites. This paper reviews the research work carried out in the area of LBM of CFRP materials. It reports the experimental and theoretical studies covering the process accuracy in terms kerf width, kerf depth and edge quality, and the thermal characteristics in terms of heat-affected zone (HAZ). Minimizing the kerf taper, increasing kerf depth, and eliminating the HAZ in the polymer matrix are considered the major obstacles of CFRP industrial applications. 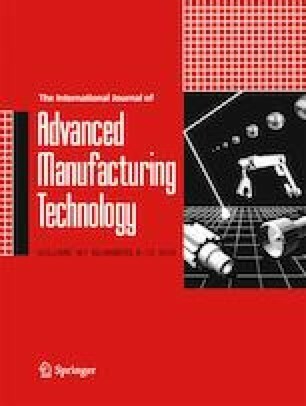 Methods of improving the machining productivity by reducing the machining time and increasing the material removal rate (MRR) and kerf depth are reviewed. Several mathematical and statistical modeling and optimization techniques have been critically examined. The concept of specific energy and its impact on HAZ and kerf width is introduced. The relationship between laser type and HAZ is discussed. The current work furthermore outlines the possible trends for future research.